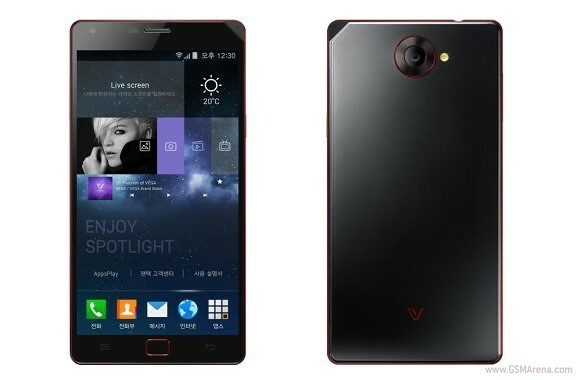 Pantech officially announced the Vega Iron2 smartphone in South Korea. The high-end LTE-A device will be available in its home market later this month. The Pantech Vega Iron2 will be available in black or white color scheme. Its design features a metal frame which will be available in a number of different colors. The handset also totes a home button which harks back to the Samsung Galaxy S2. In terms of specs, the Pantech Vega Iron2 will be powered by a Qualcomm Snapdragon 801 SoC with 2.3GHz quad-core CPU – not Snapdragon 805 as previously rumored. RAM and built-in memory are 3GB and 32GB respectively. The smartphone will boot Android 4.4.2 KitKat out of the box. The rest the device’s specs include 5.3” 1080p AMOLED display, 13MP camera with optical image stabilization, and 2.1MP front-facing unit. The main snapper is capable of capturing 4K video. 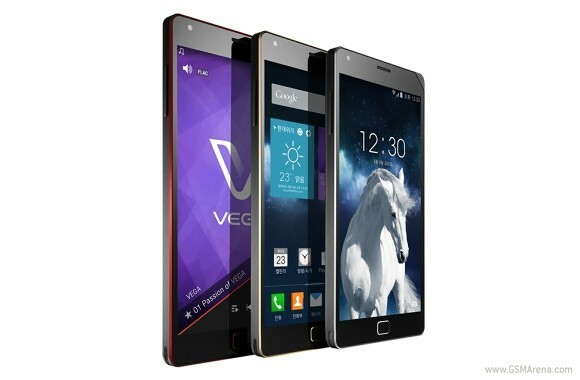 Physical measures of the Vega Iron2 are 144.2 x 73.5 x 7.9mm, while its weight tips the scale at 152 grams. The smartphone packs a beefy 3,220 mAh battery. International availability of the Pantech Vega Iron2 has not been announced. Considering the fact that its predecessor didn’t make it out of Korea, we reckon that it is not likely. How is the sound over headphones?